Pierre Poilievre isn&apos;t being fair in his reading of a report into problems stemming from the 2011 federal election, says Harry Neufeld, the report&apos;s author. 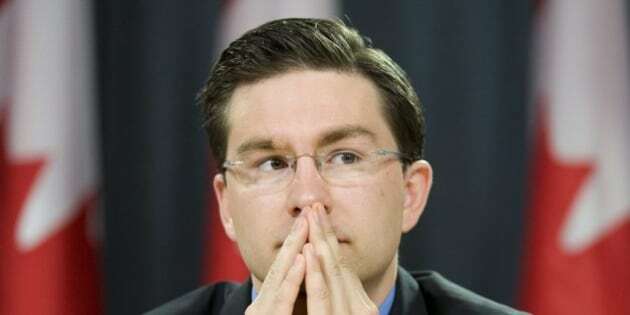 Poilievre, the minister of state for democratic reform, refers frequently to the Neufeld report, using it to justify two of the most controversial changes he wants to make to Canadian election law: Eliminating the use of the voter information card as proof of address, and eliminating vouching as a way to prove the identity of someone without proper identification. Chief Electoral Officer Marc Mayrand says those changes will disenfranchise thousands of people. He says 120,000 people required vouching to cast ballots in 2011. In an interview with Evan Solomon, host of CBC Radio&apos;s The House, Neufeld said Poilievre makes a "leap of logic" to say things that aren&apos;t in Neufeld&apos;s report. "But it&apos;s very much his conclusion from reading — I think quite selectively — parts of my report," Neufeld said. "I think any fair-minded person who reads that report would come to the conclusion that he has not been fair in his assessment of my findings." The former chief electoral officer for British Columbia was commissioned by Elections Canada to review the problem of non-compliance with the rules for casting ballots after a challenge to the 2011 results in the Toronto riding of Etobicoke Centre disclosed numerous irregularities. That case went all the way to the Supreme Court, which last year rejected a bid by the failed Liberal candidate to overturn the results. Neufeld says "there was no evidence of fraud whatsoever" in the cases he reviewed, and that he&apos;s "only been privy to a handful of cases of voter fraud" in his career. He also suggested the parties aren&apos;t doing their jobs if they are encountering voter fraud. Parties are allowed to have a scrutineer representing them at every polling station in the country. But, he said, "there&apos;s very, very few of these scrutineers present in the polling places at all. They&apos;re mostly there to find out who&apos;s voted." Neufeld said the scrutineers simply pick up "bingo sheets" that show who&apos;s cast a ballot so that the parties can get their supporters to show up and vote. "And that&apos;s all fine. But in terms of watching the process and making sure that it&apos;s scrupulously administered, the political parties and the candidate campaigns are not doing their part on scrutinizing. If there are real issues and there are concerns that people are being allowed to vote and they&apos;re not eligible, or they&apos;re being allowed to vote more than once, there needs to be somebody who&apos;s seen this and can provide some indication of when it happened, where it happened, who was involved, which voters it pertains to on the voter list," Neufeld said. Mayrand is right when he says some Canadians won&apos;t be allowed their right to vote if the changes become law, Neufeld said. He estimates it would affect "well over 100,000" people. "I think Mr. Mayrand is absolutely correct.... And [with] the provision that no one is allowed to use the voter information card that is sent to every individual voter who&apos;s registered, I think it will disenfranchise more people in addition," he said. "This is extremely problematic. We have constitutional guarantees that every Canadian has the right to vote." Neufeld says expanding the use of the voter information card as proof of address would mean fewer cases of vouching. "I did that in British Columbia, I never had any complaints about that process." Neufeld says Poilievre hasn&apos;t tried to contact him and he has no idea how to get in touch with Poilievre. But he will be appearing before the procedure and House affairs committee later this month to discuss the bill. Neufeld is scheduled to appear March 27 at 11 a.m. ET.